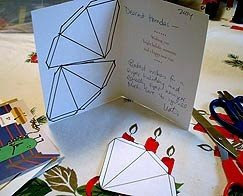 Copy the pattern onto the interior of your cards (so that the cover design is on the other side) by cutting it out and tracing it. 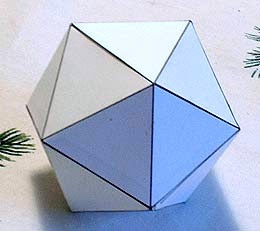 Then draw in the fold lines with a ruler. 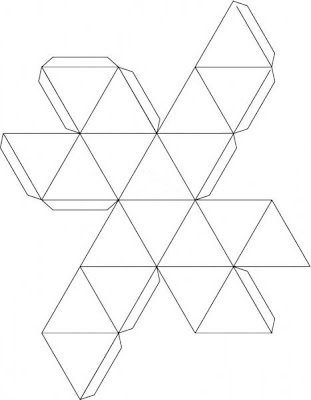 Cut the pattern out and start folding! 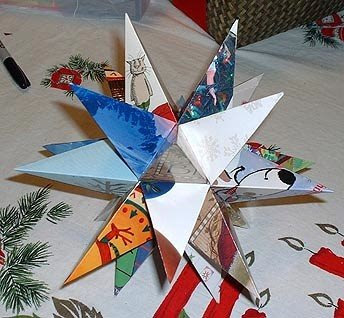 To make this Christmas star, you'll need to cut 20 cards. 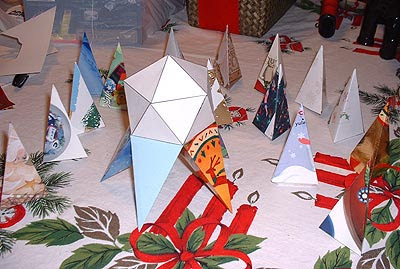 Close the triangles. 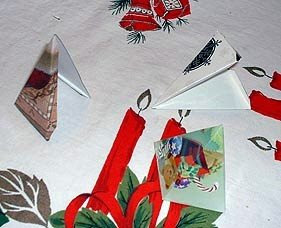 Use glue along each of the long flaps to seal the point of each star. 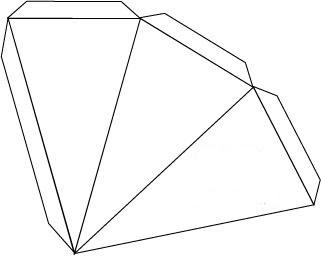 Cut, score and once again fold along all the lines. 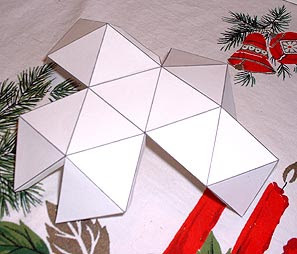 Glue the points onto the star until it's done! 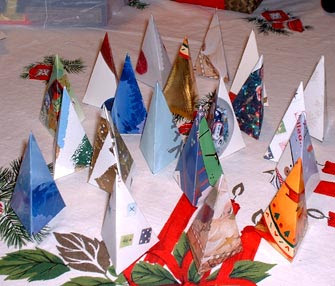 Give it time to dry and you'll have a beautiful decoration made out of recycled Christmas cards. And finally it's done !